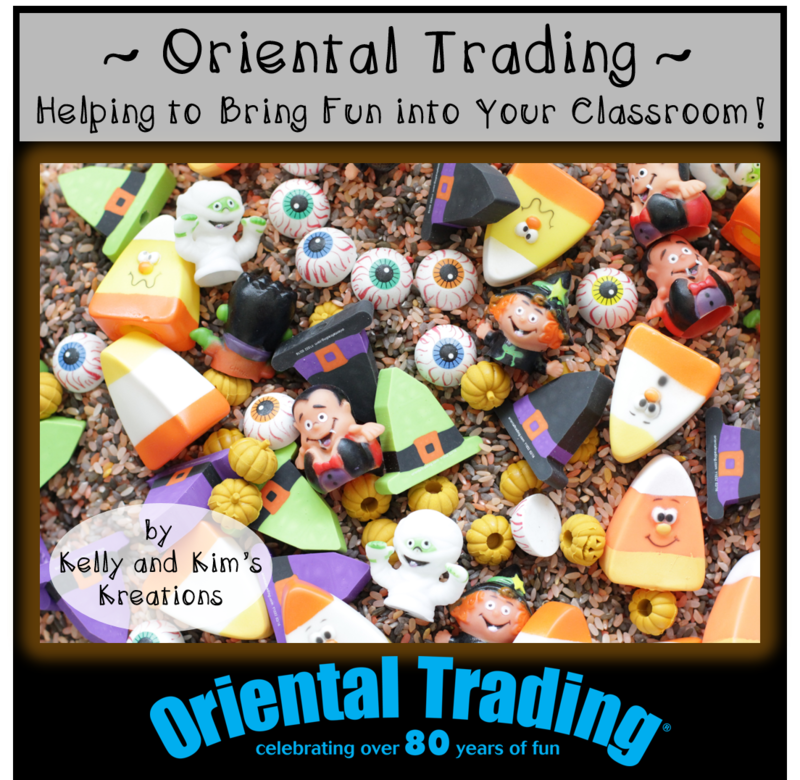 Kelly and Kim's Kreations: Oriental Trading ~ Helping to Bring Fun into Your Classroom! Oriental Trading ~ Helping to Bring Fun into Your Classroom! If you are an educator, then you know Oriental Trading! They have a large catalog of party supplies, trinkets for prize boxes, supplies for every craft you can think of, and so much more! Everything is very affordable and guaranteed to put a smile on everyone's face! So when Oriental Trading contacted us and offered us some goodies to try out in our classrooms and review, we were smiling from ear to ear! 1. Mini Orange Pails ~ These pails are very cute and can be used for anything that you can think up! In the past we have used them as individual crayon jars for students, containers for small center materials, and even containers for party treats! We will show you what we did with them this time further down this post. There are many different colors available and they come in both metal and plastic. They even have a cute little handle! 2. 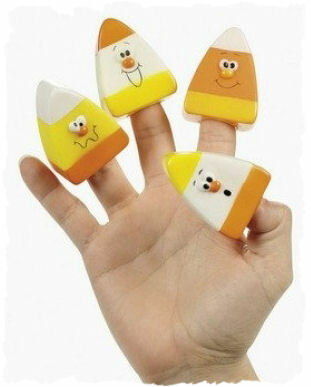 Candy Corn Finger Puppets ~ Okay, so these are seriously adorable! There are four different candy corn expressions and each one is just as cute as the other! They are a great size for little fingers and can be used in so many ways. We could use them for counting, sorting, retelling, etc. The list could go on and on! 5. 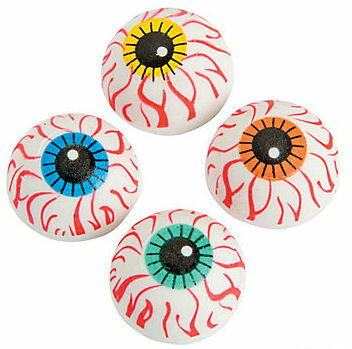 Eyeball Erasers ~ Super cute erasers that can be used as gifts, prizes, or center materials in your classroom. These erasers are a half circle (flat on one side), not a sphere. At least they won't roll away! 6. 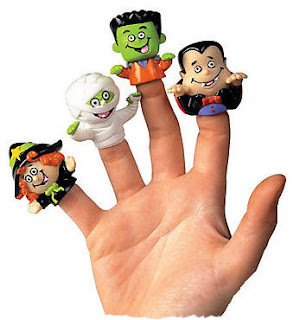 Halloween Character Finger Puppets ~ Another cute finger puppet item! 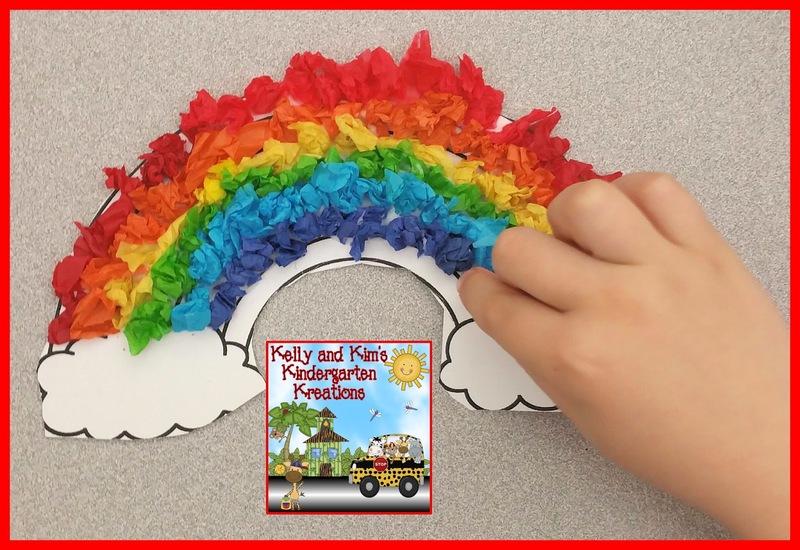 You can use these to spark the imagination of your little learners! They can make up their own stories and put on puppet shows for their friends. They are also perfect as Halloween treats instead of candy! 7. 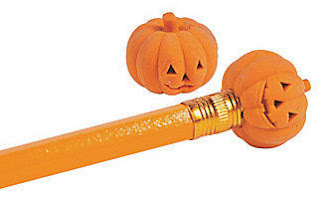 Pumpkin Pencil Top Erasers ~ These pumpkin erasers are well made and are great to give out as gifts during the Fall. They are small but cute! However, the color was a dull brown rather than a vibrant orange. This is okay for our plans, which we will show you soon! 8. 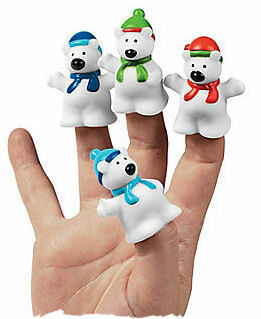 Polar Bear Finger Puppets ~ Well made and perfect for little fingers! They are great to use while counting and to even use in crafts. There are so many fun things you can do! 9. Witch Hat Pencil Top Erasers ~ These pencil top erasers are perfect for Halloween! They are very cute, colorful, and sturdy. 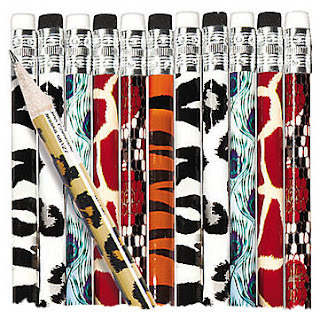 They will add an extra flair to your children's pencils. 10. Animal Print Pencil Assortment ~ These pencils are perfect and match the jungle theme in our classrooms! This year we are going to work on building our sensory center to match the different themes we study throughout the year. We started by using the items (pictured above) we received from Oriental Trading. We decided to use rice for the Fall season and we dyed it orange and black. We then put the erasers and finger puppets in the rice and buried them. Can you find the buried items in the second picture? 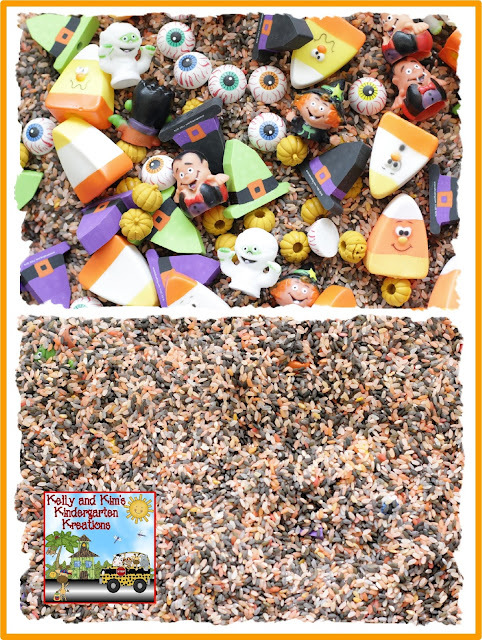 The children love to dig their hands into the rice and find all of the objects. So much fun! These items are the perfect size for children to strengthen their fine motor skills by grasping the objects. They reach into the rice and grab the object to pull it out of the rice. 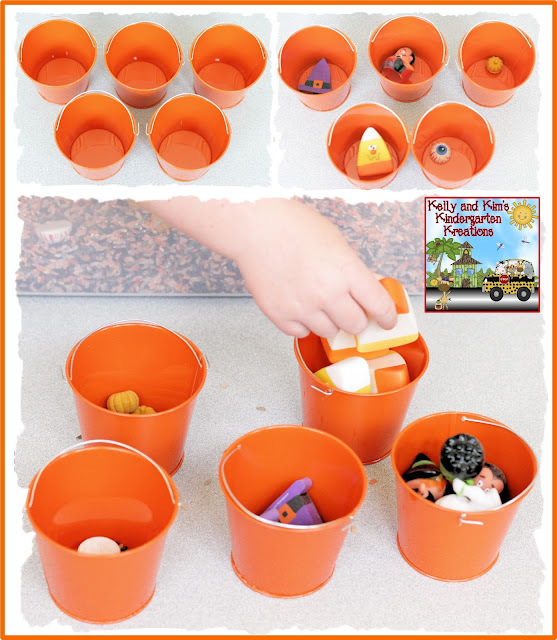 We also added an extra skill of sorting by using the mini orange pails. Thank you Oriental Trading! Your products are wonderful and a big hit in our classrooms! 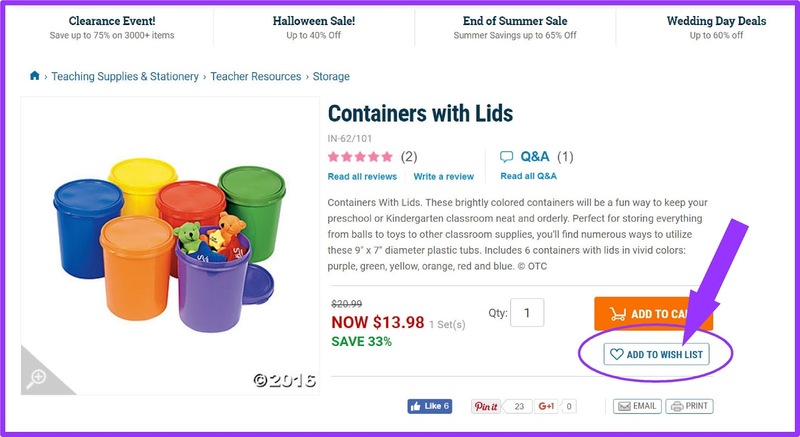 Here is one more exciting thing you need to know ~ Oriental Trading now has a wish list option where you can build a list of things you would love to have for your classroom! After creating your wish list, you can share it with everyone you know! Creating your wish list is very easy. Log into your Oriental Trading account and start shopping. When you find something you love simply click on the button that has a heart and add to wish list! That's it! You can view our wish list here! We have found some great things and will keep adding more as the school year progresses! Thank you for visiting our blog and reading all about our fabulous finds! Share with all of your teacher friends! Remember to visit Oriental Trading's teacher resource page! Have a great week! I love the candy corn finger puppets! I'm thinking the pumpkin erasers would make great game pieces in math or manipulatives to count with. Yes, they are so cute!! 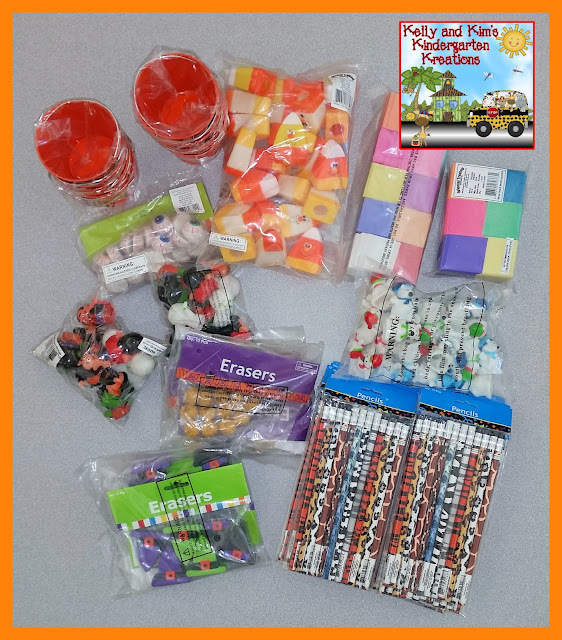 Yes, the pumpkin erasers are the perfect size for counting and manipulating! Thanks for stopping by our blog!